For as long as I've known Luke (and it's been a while...) he's always told me how special Bloomington is. 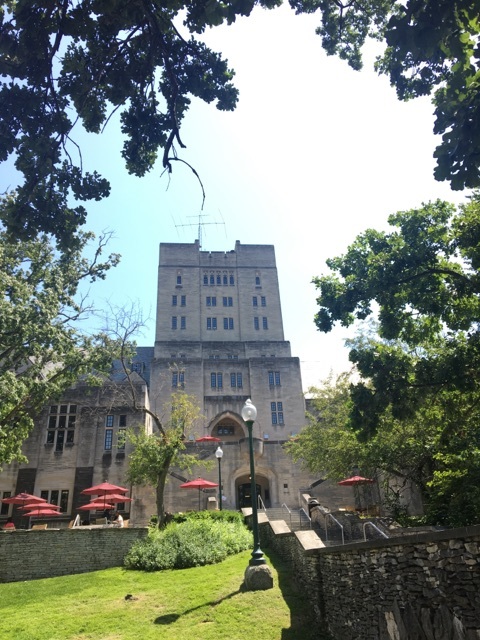 Bloomington is home to IU, where Luke went to college. For years I've heard all about this place; the bars, the sports, the campus and the college stories. Oh the college stories. This past June we finally planned a trip back to the Midwest to visit this magical place. After a few days in Chicago and visiting Luke's parents in Valparaiso, we drove down to meet up with our friends in Indianapolis for a few days - and take a day trip to B-Town. We started off our Bloomington day with a visit to Oliver Winery on our way south, because why wouldn't you stop at a winery?! My only regret is that we were flying with carry-on luggage and not checking our bags, because there were so many wines I wanted to take home with me. Another time. 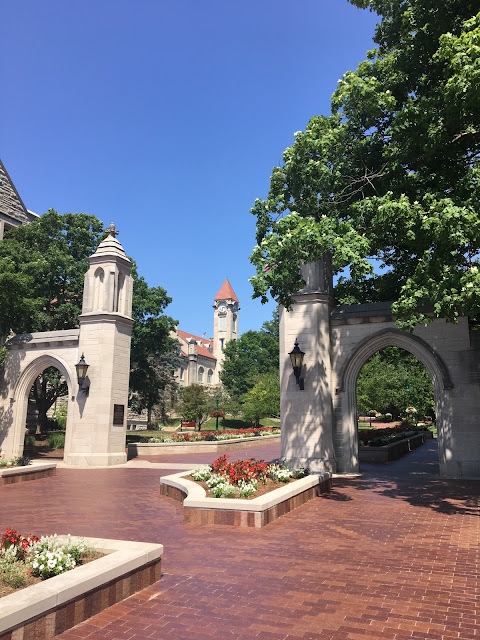 Once we arrived in Bloomington we went strait for campus! Luke, Pat and Andi kept me entertained with all of their college stories. Seriously, around every block someone in the group said "Oh I had a lot of classes in that building", "We went to this bar every single weekend", "I walked along this path to class every day"... The memories came flooding back for this group. 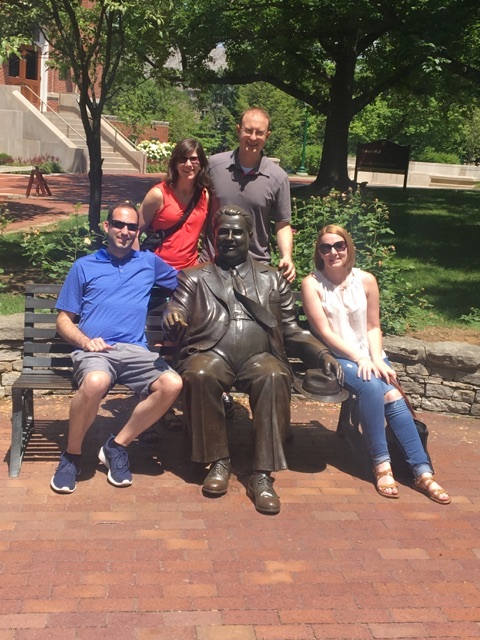 It was the highlight of the trip, to be able to see Luke's alma mater, especially with Pat and Andi. After a lot of walking around campus we had to stop for food and drinks. We ate at Big Woods and it was just what we needed. Quality food and delicious local beers. It's like they knew we were coming! 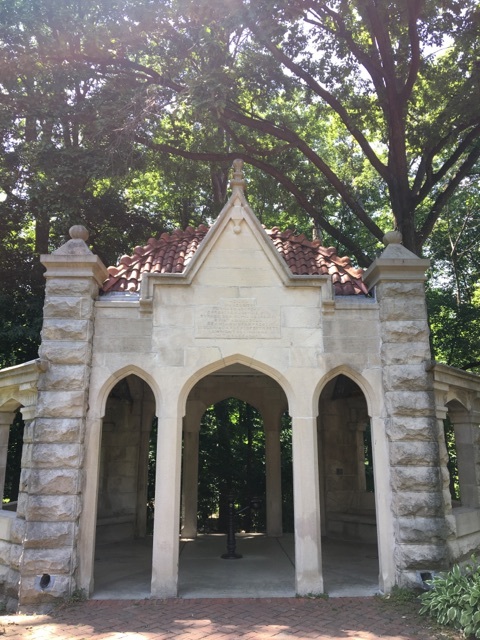 How adorable is the gazebo below? 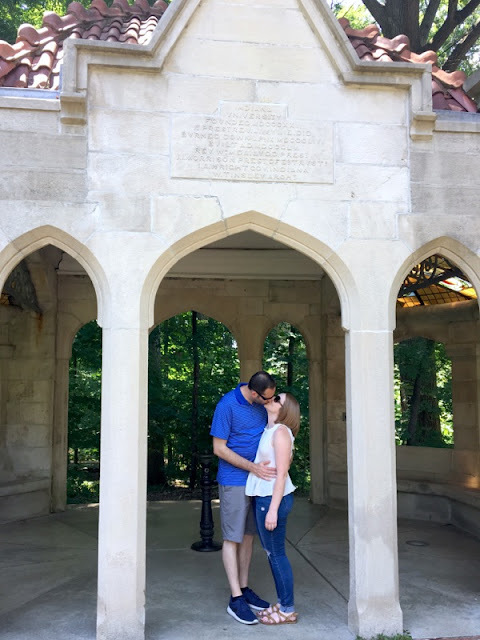 Rumor has it if you kiss under the gazebo you're granted good luck. Scroll down for the cutest thing ever (it's the last photo)! Not pictured: We met up with more of Luke's college friends, Shawn and Lynn, for drinks at Kilroy's, Nick's and Function Brewing and then dinner at My Thai Cafe. You guys, it's like we were all back in college or something, haha!